“Día de la Raza” and native heritage is celebrated on October 12, the anniversary of the arrival of Christopher Columbus to this continent, officially known in Hispanic America as the Encounter of Two Cultures. One of the consequences of that day was the interchange of foods with the old continents and the native foods of the Americas. New World foods travelled the world and became staples in different cultures -- to think of Ireland without potatoes is almost impossible. The same is true of Italian food and tomatoes or the spicy foods of Asia and hot chili peppers. In the same way these foods made their way east, other foods made their way to the Americas: mangoes, apples, citrus fruits, pork, cows and more. 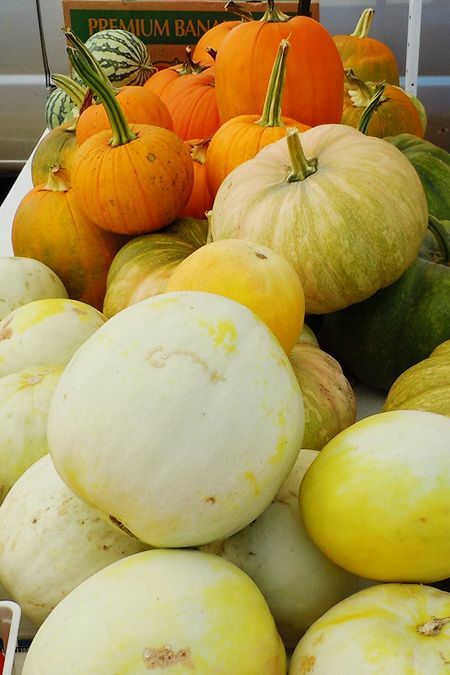 On this special native heritage day let’s talk about squash, one of America’s indigenous foods. In native Mexican communities, winter squash is still used as a starchy food for breakfast, just boiled and scooped out, served in a small bowl named a “cazuelita,” topped with honey, peanuts and amaranth. Sustainable Food Center’s The Happy Kitchen /La Cocina Alegre® cooking and nutrition classes include culturally appropriate foods and recipes. The program celebrates traditional diets as they are usually healthy, based upon whole, unprocessed ingredients. Here’s an easy recipe to bring a traditional food that is still be revered into your home (and belly) today! Spices of your choice (garlic powder, cumin, coriander, chile powder are all good choices). Pre-heat oven to 300 degrees. Line a baking sheet with parchment paper. While carving a pumpkin/squash, scrape the seeds out with a spoon or your hand. Place seeds, which will be tangled in the stringy pumpkin flesh, in a colander and rinse with water. Remove any fleshy strings. Spread seeds out in a single layer on the baking sheet. Depending on how many seeds you have, make sure they have enough room to roast and are not piled on top of each other. Sprinkle a few pinches of your choice of spices over the seeds, along with a few pinches of salt. Place in oven and roast for 20 minutes, or until seeds brown, but be careful not to burn them. Remove the seeds from the oven and let them cool down on the baking sheet. They will get crispier as they cool. Enjoy as a snack or sprinkle on top of salads or side dishes.